The .moe Domain is Here! – Why is my .moe Domain Unavailable? Why is my .moe Domain Unavailable? The requested domain name is on our Premium Reserve List. Let’s go over each list briefly. The Standard Reserve List is a list of second level domains that each new registry, including .moe, must block. Some of these names can be released later on, but require approval from the non-profit organization that manages the global DNS, ICANN. This list includes highly coveted one and two character domain names, country names and other abbreviations. The DNS Collisions Block List is a list chalk full of names that each new registry must initially block. Our list contains about 38,000 names (yes, thirty-eight thousand). Granted, most of the names on this list are nonsensical garble that most of us wouldn’t think to register anyway. However, there are also great names on this list such as “anime.moe” and “otaku.moe”. In fact, we had to agree to block these names to bring you .moe, otherwise we may have had to wait another 6 to 12 months. Our list is public, so feel free to read this document and check out our collision list linked on the same page. The Premium Reserve List is a list of names that we as the registry decided to reserve for later. Originally selected about 2000 names which we marked as premium domains with the intention of releasing these into the wild after the Landrush Phase. This is quite a low number of premium names compared with other new TLDs. Nevertheless, we have decided that even this was too many, so we cut an additional 966 domain names today. (We may post a partial list, so keep your eyes open). Remember, Landrush is a phase where we accept multiple applications for domains and domains are not allocated until the end of the period. Therefore, if a domain has been applied for, it still shows available. If you have done a domain search at http://get.moe and your name is available, but not available at your registrar it just means they haven’t purged the previously reserved names yet. If you did a search yesterday, or the day before and your desired name wasn’t available, go back and check it out to see if it has been released. We always welcome your feedback and questions! 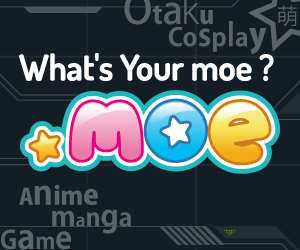 We know that users of .moe are the most passionate people on the planet, and we want to make getting .moe as easy as possible. I have seen in the rules that subdomains are not authorized. Is there any reason behind it ? I’m highly interested in getting a .moe domain, and not being able to use subdomains is really holding me back. Hi! We don’t have any rules concerning the creation and use of subdomains. For example, if you would like to create a subdomain such as i.love.moe via your hosting provider, we do not have any restrictions. Just for informational purposes, are you able to point out where you’ve seen this information?